You are here: Home / View22 Pecha Kucha Selected for SHIFT 20/20! 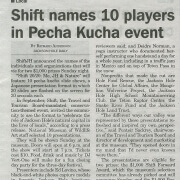 View22 Pecha Kucha Selected for SHIFT 20/20! 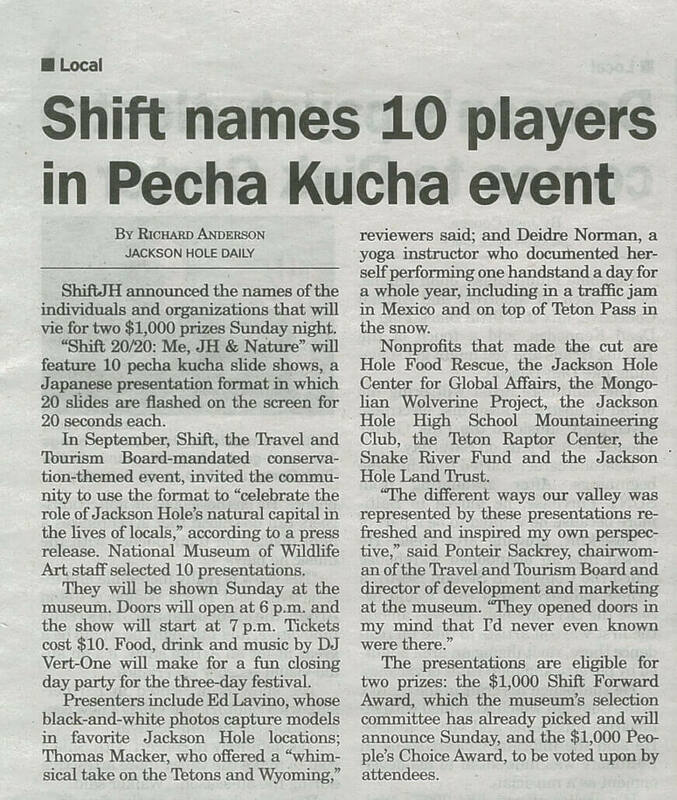 Our View22 JH Pecha Kucha presentation was selected as a finalist for this Sunday’s SHIFTjh event at the National Museum of Wildlife Art! Please come out and support our project and the other presenters – we’re in the running for the People’s Choice Award! For more information, visit the SHIFT website. https://jhlandtrust.org/wp-content/uploads/2018/07/101213_SHIFTPechaKuchaView22_JHDaily.jpg 1944 1644 imokweb https://jhlandtrust.org/wp-content/uploads/2018/04/JHLT-Logo-Parent-300x213.png imokweb2013-10-11 00:00:002013-10-11 00:00:00View22 Pecha Kucha Selected for SHIFT 20/20!